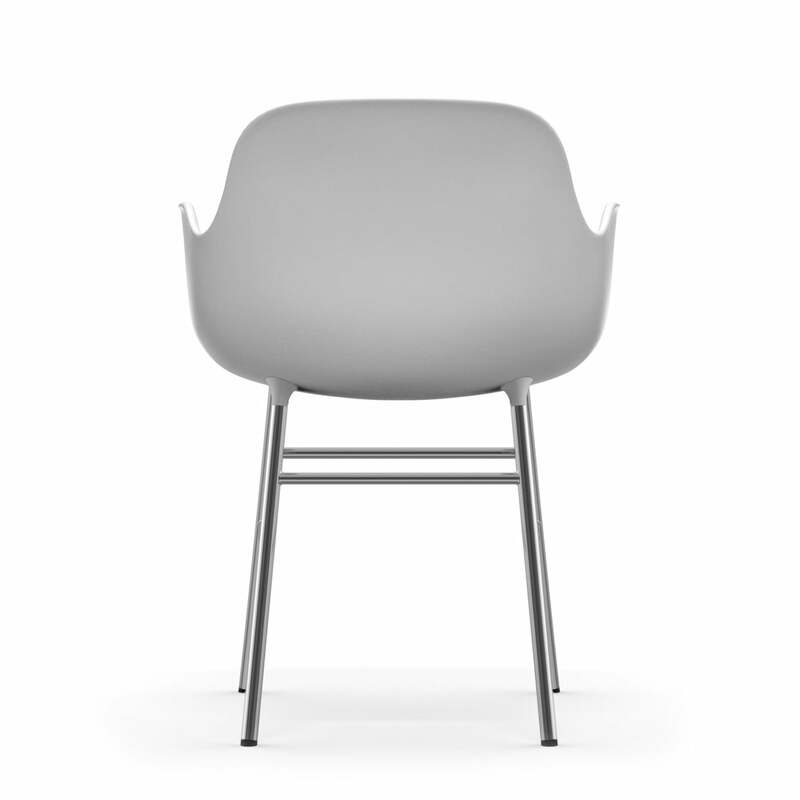 A Form armchair by Normann Copenhagen has a seamless appearance, a particularly comfortable seat and legs of chrome. 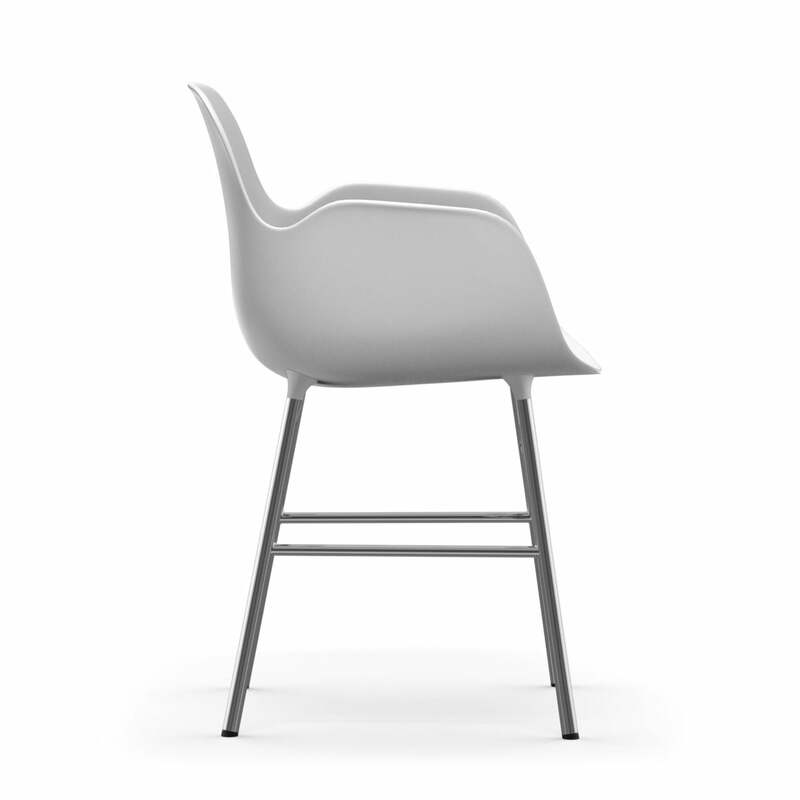 The Form armchair belongs to the collection of the same name, which was designed by Simon Legald for Normann Copenhagen. Legald wanted to create a seamless chair. A new and innovative solution was developed to achieve this seamless, integrated look. The polypropylene shell is connected to the chrome-plated steel frame with a unique connector system. The seat is available in a variety of colours. 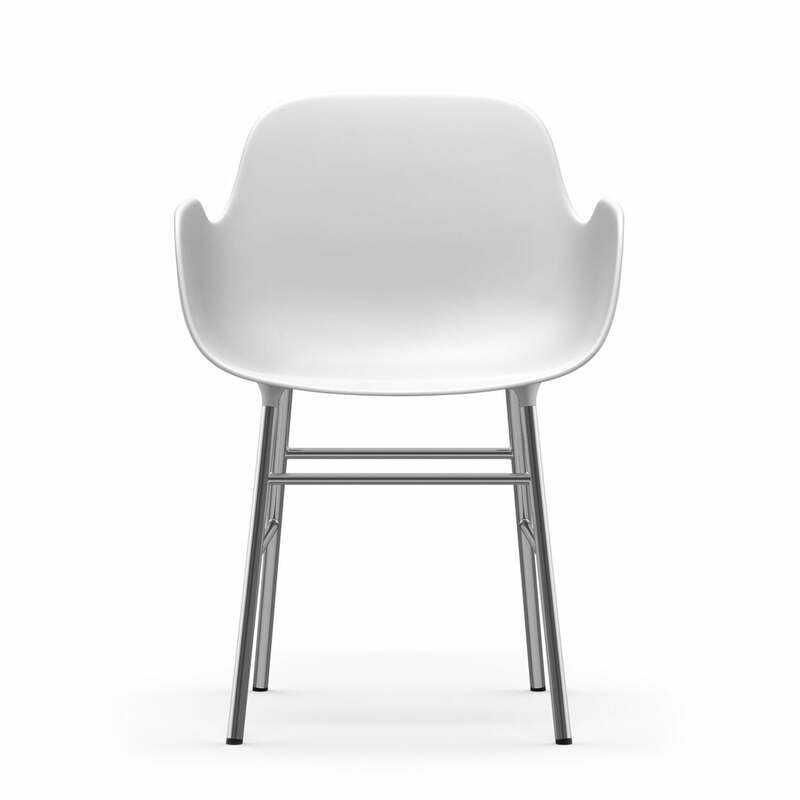 The plastic shell chrome frame make for an interesting combination and give the chair a timeless and modern look. The comfortable seat and armrests invite you to relax for a while. 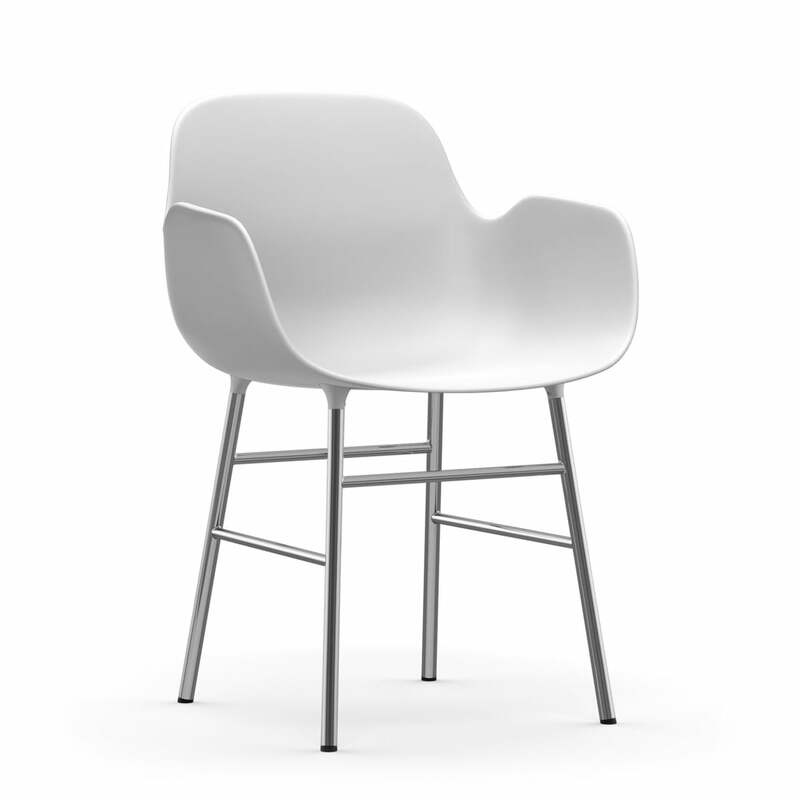 Tables and chairs are available in a wide variety of different options as part of the Form collection. 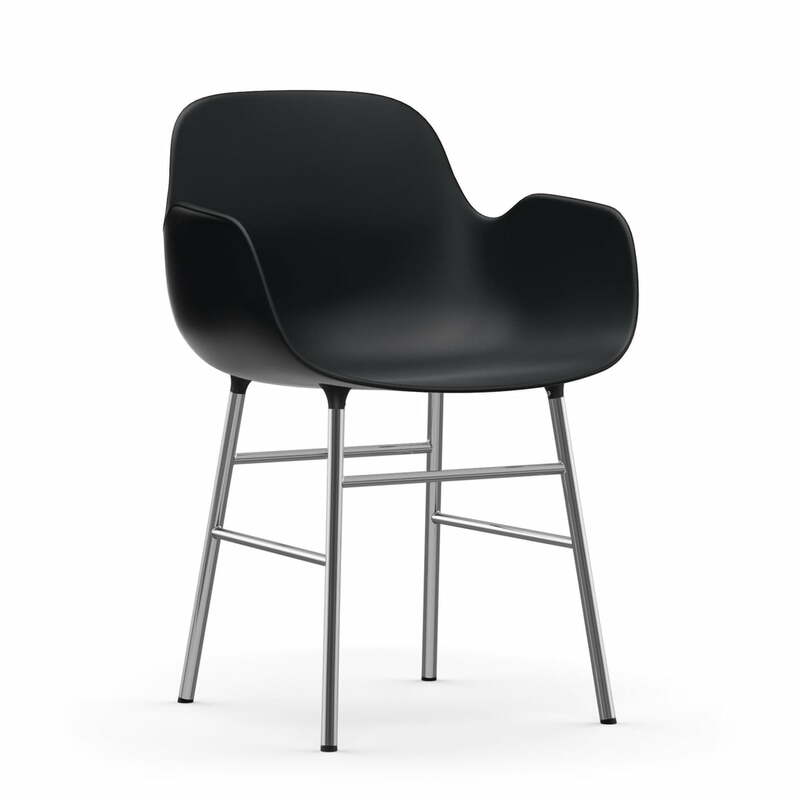 The Form armchair with chrome frame by Normann Copenhagen in black belongs to the collection of the same name, which was designed by Simon Legald for Normann Copenhagen.